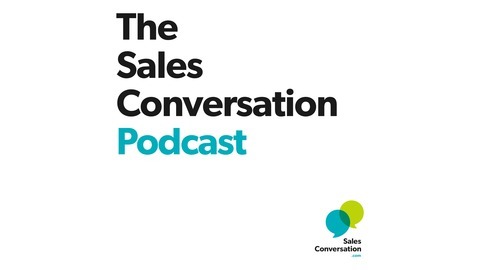 The Sales Conversation Podcast focuses on helping sellers uplevel their selling conversations. 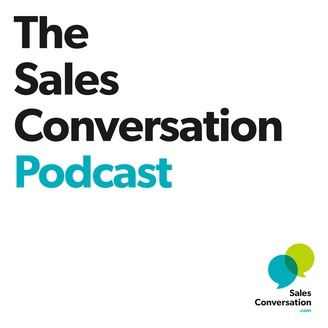 Each episode features an interview with a thought leader relevant to sellers, offering practical ideas and best practices for improving sales performance. This episode, “How to lead in the buyer journey with Next Steps,” featured Darrin Fleming, David Svigel, Principals at ROI-Selling and me – Bruce Scheer. The three of us have been helping sellers for years in having more concerted next step conversations that are useful in leading and supporting the buyer through the buying process. Specifically, we have partnered together to help clients with creating assessments and value-selling tools that are useful in helping buyers see and communicate the case for change and create urgency around change initiative. I had worked on in a joint initiative between Hewlett Packard and Microsoft, where they had eight solutions that they had identified between them. They wanted a go-to-market program with a concerted selling approach. One of the solution areas was business intelligence, and if a customer engaged with them on it – it would result in a multi-million-dollar deal. We built introductory conversation materials for reps to use in securing a meeting. In the initial discussion, the seller would offer a concerted next step called the Executive Briefing. If the client was willing to sponsor the Executive Briefing, including making sure the right people attended, the Executive Briefing would be confirmed. HP and Microsoft would bring in their “Top Gun” experts to talk to those executives about what business intelligence would mean for their organization. At the conclusion of the Executive Briefing, additional next steps would be laid out for consideration and agreement. It normally included an assessment and business case-building process, and a strategic workshop to shape the initiative, roadmap and action plan for success. What we found was over a 50% deal connect rate when we when we went down this concerted next-steps path. All the folks involved in shaping this program won a marketing program of the year award. It is important to put the seller in a position of leading the buyer towards next steps as opposed to the buyer leading the seller - which very often goes poorly because buyers are busy with their day jobs! The seller needs to be helping their buyers create the plan for the future, putting themselves in an advisory role to help define for the buyer what looks better in the future and how to get there. One of Bruce’s clients has a buyer journey map they show at every client touchpoint. They will highlight the journey and steps their customers typically take to embark on an initiative and leverage their software and services. They will get agreement around the series of steps, including an assessment and value analysis useful for helping their buyer create an internal case for change. After that’s established, they will move to a strategic planning workshop where they can further shape an initiative and make sure executives are fully aligned and bought in. This is a very different orientation from the norm. Most organizations align their sellers around a sales process that’s self-serving. The better approach is more buyer-centric – thinking about what the buyer needs at each next stage of their buying journey, and how can you move the customer through that buying stage with concerted next steps. As you move through the buyer journey a few times, you start to be aware of natural junctures of what that buyer journey looks like, including some buyer-centric milestones along the way. There may be a stage where they want executives to be educated on the case and value of change. And maybe there's another step around strategy - what's the strategy to embark on this change initiative? Maybe there's another step about the initiative itself - who's going to be involved in this initiative? What's the roadmap look like in this initiative and, and what's timing around this initiative? Outcomes - What are the outcomes that you're looking for at each one of these buying milestones? A few examples of outcomes would be key executives are educated on the opportunity and case for change, executives have agreed to a strategy and executives have agreed to provision resources for an initiative to be born. Activities - What are the activities that need to happen on the seller side and on the buyer side to make sure you're reaching the desired outcomes? Examples include assessments, value analyses, strategic workshops and initiative action planning meetings. Tools – What are the tools needed to support the key activities and desired outcomes at each stage, including Assessment Tools, ROI Calculators, Strategic Workshop Structure and Content, and marketing materials useful in selling each activity and tool as it’s introduced into the buying process. In advance of a client meeting or call, it’s a best practice to do some mini-planning about what you want to discuss with the client and what are your desired outcomes and next steps you will introduce in the meeting. To get your next steps in place, you ask your peers and folks in marketing – what tools do they have that you can leverage? You might be pleasantly surprised that something either exists or perhaps marketing commissioned having something developed that didn’t see the light of day. Leverage what you can. Don't stop there though if concerted next step activities and tools don’t exist. You might have to cook something up yourself to fill the gap, and get support overtime in having more professional and branded support and tools.